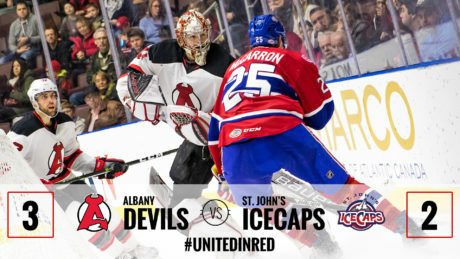 The Devils scored two third period goals to force overtime and ultimately beat the IceCaps, 3-2, Friday. 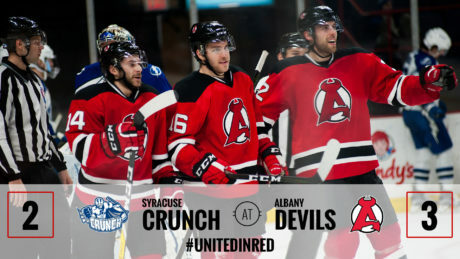 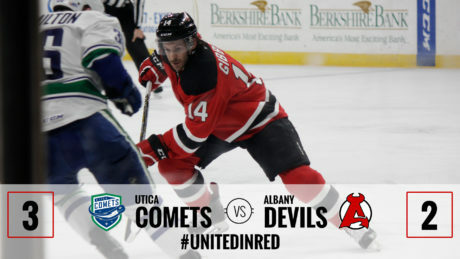 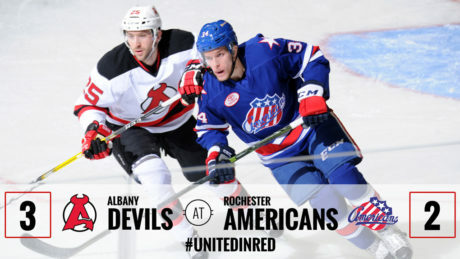 The Devils were defeated by the Comets, 3-2, Monday at Times Union Center. 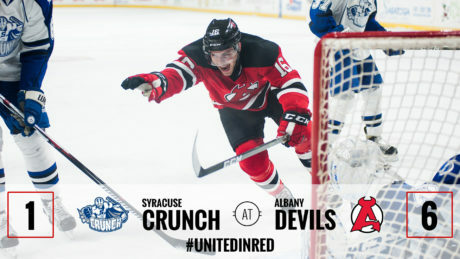 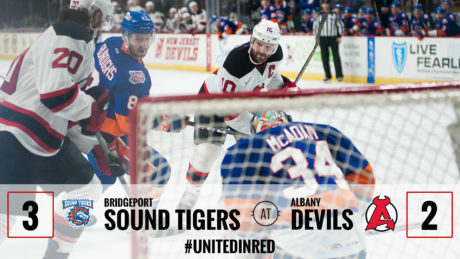 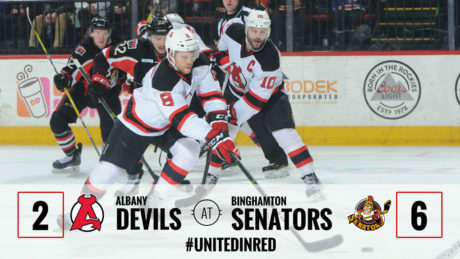 The Devils fell to the Sound Tigers, 3-2, Saturday at Times Union Center. 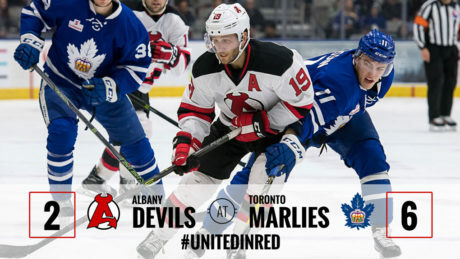 The Devils fell to the Marlies, 6-2, during a Sunday matinee at Ricoh Coliseum. 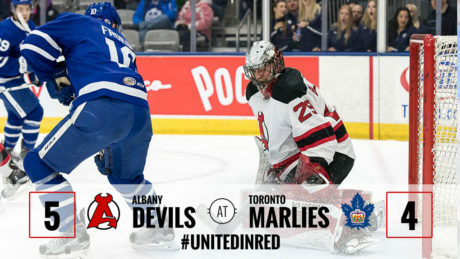 The Devils scored four unanswered goals to force OT and come out on top with a 5-4 victory over the Marlies Saturday. 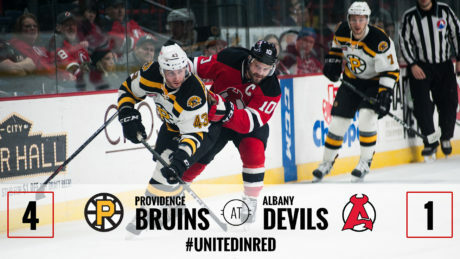 The Devils were defeated by the Bruins Friday, 4-1, in their fifth meeting of the season. 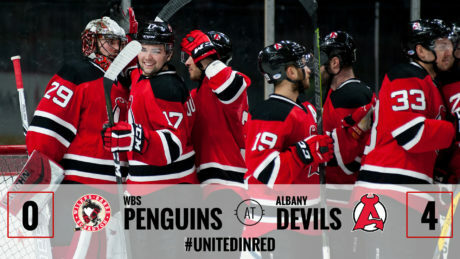 The Devils were defeated by the Phantoms 4-3, Friday, in their final meeting of the season.